Back in June I wrote about Spring Rhubarb. 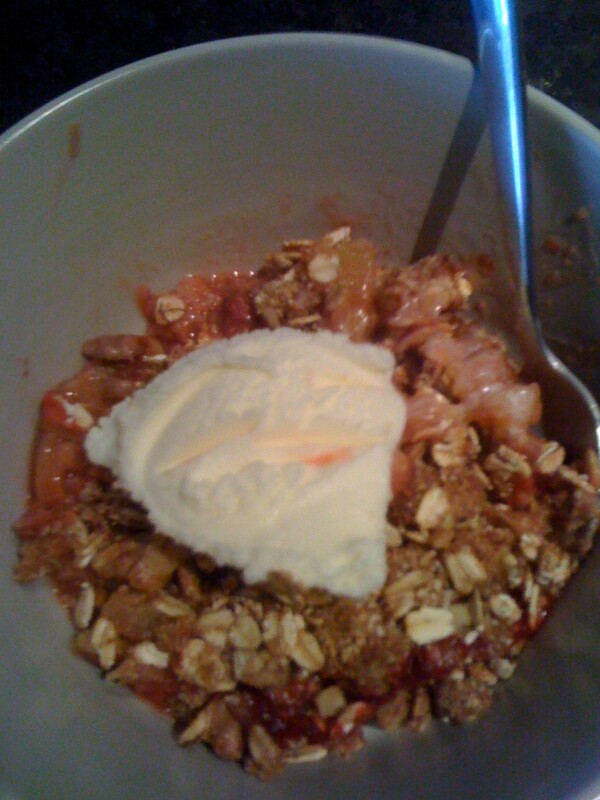 In that post I gave a recipe for Rhubarb Strawberry Cobbler. 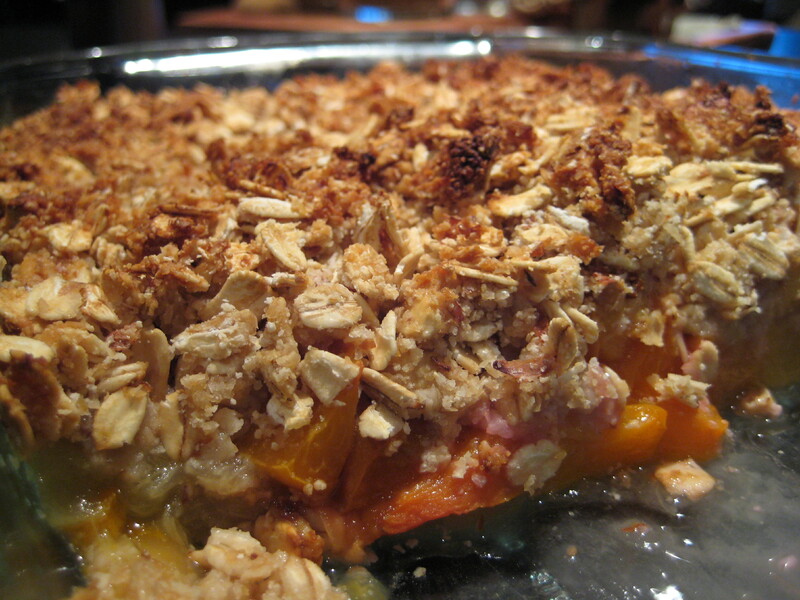 I’ve had some great reviews so I bring you this new version, Rhubarb Peach Apricot Cobbler. Tony’s folks were coming for dinner and to make it feel like summer (second complaint this week on the blog about our weather), I thought a fresh fruit cobbler would be perfect. Rhubarb from the garden that I froze in June and fresh peaches and apricots from last weekend’s trip to Kelowna. Yum. I replaced the cinnamon for ginger powder, ditched the orange zest, added half the orange juice and used cashews instead of walnuts. Kept the rest the same. Delicious! Mix all the dry topping ingredients together first, then add the honey, blend. Spread on the top of the fruit. Bake in a preheated 350 degree oven until the fruit is bubbling and the top is browned, about 50 min. Let sit and cool a bit, serve with ice cream or frozen yogurt (mmm, wish we had some of that goat milk gelato we had in Kelowna).